Safe Teen Driving Blog - Page 6 of 67 - Safe Teen Driving Blog - Providing a solid base for teen drivers by improving behavior, attitude, skills and experience. Prom night is just around the corner an proms can get pretty expensive for parents; from expensive dresses, tux rentals, flowers, and photos, it can all add up. However, there’s one item parents should really consider splurging on to keep their kids safe on prom night; a limo. Prom night can be one of the most dangerous nights of the year. In spite of all the warnings that parents give, once the kids are out of sight, there’s really no way to predict what they may do or prevent them from participating in some of the more dangerous activities on prom night such as drinking or using drugs. At that age, peer pressure can be much more powerful than parental rules and warnings. Prom night isn’t a night when you want to trust the driving to a teen. A recent study showed that sixty percent of teen crashes are caused by driver distraction. It’s not just texting and cell phones that cause the distractions. 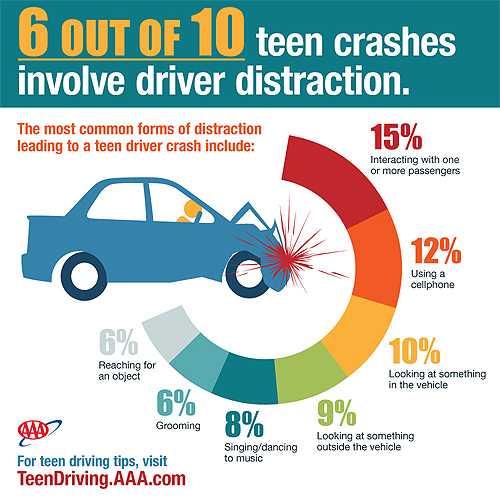 In fact, the biggest distraction for teen drivers is interacting with their teen passengers. Even if the kids remain sober, the excitement, novelty and the gathering of friends can be very distracting to a young driver. Driving late at night, after a long day of planning and the activities at the prom itself, can lead to drowsy driving. Also, even if the kids are sober, there are more drunks on the road on those late weekend nights and those drunk drivers combined with distracted teen drivers can lead to tragedy. Parents should consider hiring or at least contributing to the hiring of a limo. If the parents do the hiring, then the limo driver works for them and the parent can set down certain rules for where the kids can go and at what time they should return. To save embarrassing the teen, the parents can arrange to check in with the limo driver for updates. The teens can feel glamorous and be as loud, raucous and distracting as they want while riding safely in the back, while the limo driver, sealed off in the front, concentrates on the road ahead. It’s a win-win situation for all. Binge drinking by teens can lead to genetic changes that will affect their adult behavior according to a study by researchers at the University of Illinois at Chicago College of Medicine and published online in the journal Neurobiology of Disease. The researchers used rats as a model for teens. They gave adolescent rats, at 28 days of age, alcohol for two days on and two days off for 13 days. Later, as the rats matured, they were able to observe the adult rats for behavior changes and their preference for alcohol. Compared to rats that weren’t given alcohol as adolescents, the “binge drinking” rats showed more anxiety-like behaviors as they entered adulthood and, when given a choice between water or alcohol, showed a preference for the alcohol. While most of our genetic makeup is present at birth, some genes can be changed through exposure to chemicals in the environment that are absorbed through the lungs or consumed in food or liquids. These chemical and environmental changes to our genetic makeup are known as epigenetics. In the study, the brains of rats that were given alcohol as adolescents showed changes in the area of the brain known as the amygdala. They found increased levels of a protein (HDAC2) that causes the DNA to be tightly wrapped. The tightly wound DNA, together with the increased level of the protein limits the ability of nerve cells to form new synaptic connections. The researchers felt that the tightly wound DNA strands prevented the formation of new connections needed in the rapidly developing adolescent brain. That the inhibited growth leads to more anxious behaviors and the tendency toward alcoholism in adults. The one bit of good news was the discovery that a cancer drug known to block expression of the HDAC2 protein was able to reverse the effects of the tightly wound DNA strands in adult rats. However, it will take years of research to find out if the drug will also work on adult humans and whether or not the drug will have to be given long-term to reverse the effects of the alcohol consumed during adolescence. Driver distractions are a factor in almost 60 percent of teen crashes according to a new report by the AAA Foundation for Traffic Safety. To gather the data for this study, researchers viewed dash cam footage from teen drivers age 16 to 19 who participated in the study. From this data, the researchers were able to view the actions of the teen drivers in the final seconds leading up to a total of 1,691 teen crashes that occurred between August 2007 and July 2013. Cell phones and other teens aren’t the only types of driver distractions. A recent study from Oregon State University found that twenty-seven percent of teens admitted to changing clothes and shoes while driving. They also reported changing contact lenses, putting on makeup, and doing homework behind the wheel. In a previous article, we reported that speed and driver distractions were the most common cause of teen crashes. According to the AAA study, excessive speed was a factor in 79 percent of the single vehicle crashes. 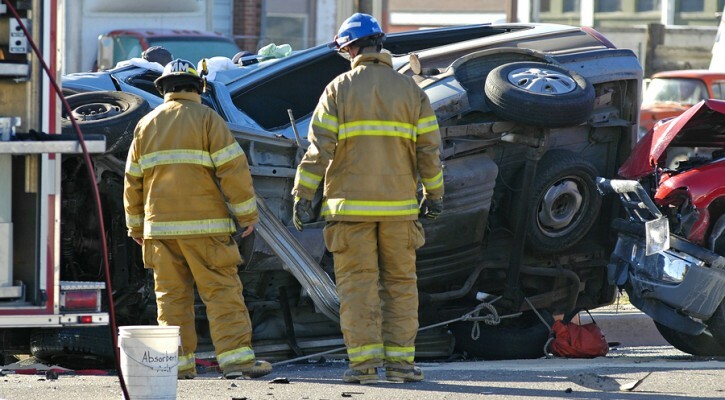 When excessive speed and driver distraction are combined, the results can be deadly. Iowa parents are putting their teen drivers in danger – in writing. According to a study by the Iowa Department of Transportation, a majority of Iowa parents signed waivers that exempted their teen drivers from passenger restrictions under Iowa’s Graduated Driver License (GDL) law. In 2013, the Iowa legislature passed a law that restricted the number of passengers a teen driver can carry to one unrelated passenger for the first six months after receiving their intermediate license. This is a common GDL law that has been passed in many states. In some states, teen drivers can’t carry any passengers other than a sibling for the first six months. GDL laws were passed in an effort to allow more time for a teen to gain more driving experience without distractions. The reason for the passenger restrictions is that, the more teen passengers a teen driver carries, the more distracting the driving situation is. According to the Governors Highway Safety Association, adding just one passenger increases a teen driver’s crash risk by 50 percent. Put three or more passengers in the car, and that “risk is nearly four times greater. The Insurance Institute for Highway Safety says that Iowa could cut its fatal teen crash rate by more than half if tougher teen driving laws were enacted. For some reason, when the Iowa legislature passed this law, they included a provision that allowed parents to sign a waiver that exempted their teen from the passenger restriction provision. This appears to be a popular provision because 90 percent of parents of teen first time drivers have signed the waiver. If parents were educated on just how dangerous teen passengers of teen drivers can be, they might reconsider and revoke the waiver. Even without such a law, parents should limit the number of passengers their teen driver can carry until the teen driver has six months to a year of driving experience.